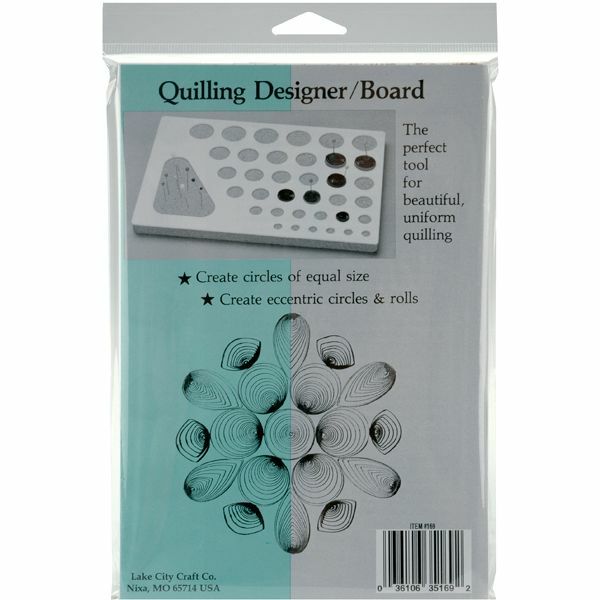 Quilling Designer Board - LAKE CITY CRAFT-The designer board is a multi-functional tool which comes with illustrations and instructions to use. Allows rolls to open in the molds. Molds perfectly uniform rolls in 6 sizes. 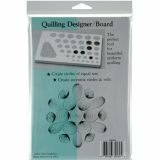 It also provides a means for making eccentric, or off-center circles and such rolls as teardrop with the points all aligned for a different look in quilling. Also, the reverse cork side is useful as a quilling board.